Like many accused Muslims, suspect is said to be mentally ill.
CAIRO (Morning Star News) – A Coptic Orthodox bishop from Upper Egypt was slain outside Cairo, Egypt yesterday. The assailant struck Bishop Samaan Shehata in the head, neck and torso with a machete in the El Salam area near El Marg District on the outskirts of Cairo, according to local reports. Shehata was born in 1972. While a security spokesman said the suspect, Ahmed Saeed Ibrahim, was mentally ill, neighbors reportedly denied this, saying he was a Muslim who had been “radicalized” a year ago. Since then, they said, Ibrahim had begun praying in the street, shouting loudly and calling Christians infidels. The suspect walked calmly out of the warehouse after killing Shehata, according to security camera footage. Captured by people on the street and now in custody, Ibrahim had reportedly approached Shehata wielding the large knife while the bishop was waiting for another clergyman in his car. Visiting from his Church of St. Julius Akfazi in Ezbet Girgis village, in Beni Suef Governorate, Shehata was waiting for another priest, the Rev. Beimen Moftah, when Ibrahim accosted him and attacked him, eyewitnesses told local press. Reports conflicted on whether Moftah, of the Church of the Arch Angel Malak in Ezbet Francis, Mattay village, was injured, but he did reportedly confront the assailant. 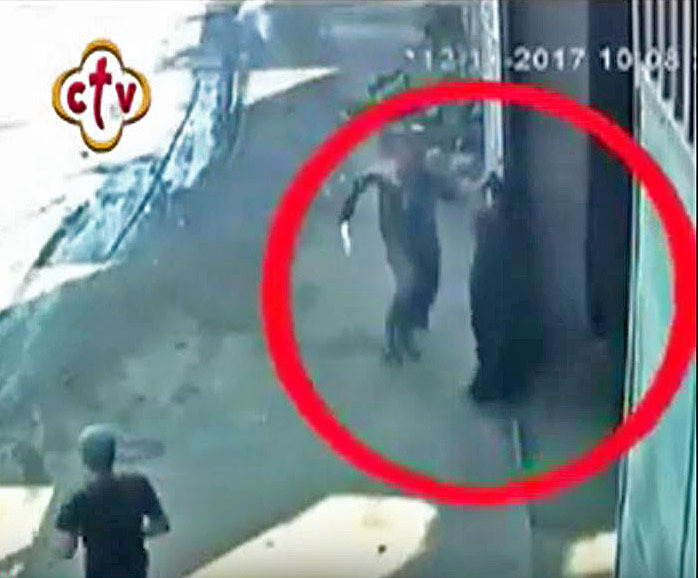 Stabbed in the neck and torso near the Virgin and Bishop Shenouda El Daeiry church, the wounded Shehata fled on foot into the warehouse, according to security camera footage obtained by El Youm el Sabe News agency, which shows the assailant following with the machete. Police said eyewitnesses reported that the assailant had seen Shehata in his car, forcibly stopped him, ordered him out and then started to stab him in the neck and torso. Shehata fled, and the attacker followed him into the warehouse and finished his attack there with several blows to the head, they said. Shehata’s driver, identified as Gerges Kamel, reportedly said the bishop had gotten out of the car to retrieve his cell phone at the warehouse when the assailant stopped him and stabbed him in the side, neck and skull. Kamel said the assailant used the bishop’s blood to form a cross on his forehead, according to a local newspaper. An ambulance didn’t arrive until 90 minutes after the assault, according to Kamel, who added that the bishop was alive for half an hour after being struck and could have been saved if the ambulance had arrived timely. He denied that the suspect was mentally ill.
A preliminary autopsy reportedly showed the cause of death to be blows to the head with a long knife (machete), causing a longitudinal deep crack in the skull and internal bleeding in the abdomen. Area residents said on social media that the suspect was known for insulting numerous Christians, picking fights with them and assaulting them. Christians made several complaints to police, which were largely ignored, according to local reports. Shehata had reportedly worked for years to obtain a permit to construct a church building for his parishioners, who otherwise met in a small room of an association building, with most of the worshippers standing in the street. Recently the bishop found a 1,000-square-meter site on which to build, and he was reportedly in Cairo to collect donations for the building. Local press reported that residents had filed 18 police statements objecting to his church building plans. Ordained a priest in 1999 and promoted to bishop in 2001, Shehata served at Church of St. Julius Akfazi. According to the Coptic Orthodox Church Network, St. Julius of Agfahs (Akfazi), who lived in the late third and early fourth centuries, was martyred after writing a biography of church martyrs. Another priest, whom local press identified as the Rev. Mikhail Melad Tawadrous, 67, of the Arch Angel Michael in Qoft, Qena Governorate, was seriously injured on the same day. 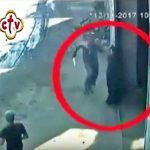 A Muslim vegetable vendor reportedly attacked Tawadrous with heavy objects, leaving him with cuts on his hand, bruises on his chest and blood in his lungs. When the priest called out for help, bystanders reportedly encouraged the suspect, Saad Mohamed Mahmoud Hassan, to kill him. Hassan had been jailed 12 for years before, and a few days before the attack, he had insulted another priest. Authorities reportedly tried to persuade Tawadrous to drop charges, claiming that the attacker is mentally ill, and the priest refused. Hassan was held for questioning and released. Dear Mr. Richardson, I thank you so much for your sincere thoughts! As a Coptic Orthodox Christian I believe that Our Lord and Savior Jesus Christ keeps the Coptic Orthodox Christians​ in Egypt for a reason, He also allows hardships and persecutions for a good reason, and He kept us since the beginning of Christianity despite all evil that came upon us. Just two days ago on Sunday July 30, 2018 another Bishop was murdered, Bishop Epiphanius. 68 year old, and he was the abbot of Saint Macarius monastery in Wadi el-Natrun.